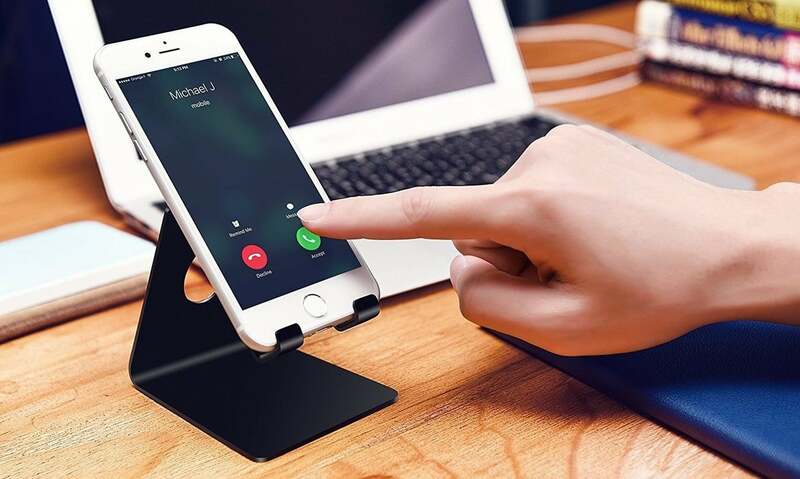 Amazon is offering the widely popular Lamicall Smartphone Stand for just $6, when you use the promo code 6VGBXP2D. Capable of holding a variety of smartphones at the perfect angle for taking phone calls, watching videos, the Elago m2 stand has received a lot of praise from those who own it. In fact, it has a 4.5-star rating from over 3,000 owners on Amazon. Not only is it incredibly sturdy and durable, but it also accommodates a wide variety of phones and cases so you never have to worry if your device will fit. What’s also great is that this stand will conveniently hold your smartphone in either portrait or landscape, making it perfect for a wide variety of tasks. At an 85 percent discount, this is a no-brainer if you’d be on the hunt for a phone stand.